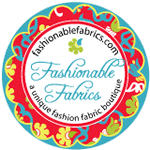 I am so excited to welcome aboard Fashionable Fabrics, a great site for novelty clothing and quilting fabrics. 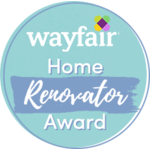 They have been around for more than 6 years, providing a huge selection and affordable $4.95 shipping to shoppers (US only, for a limited time)!! 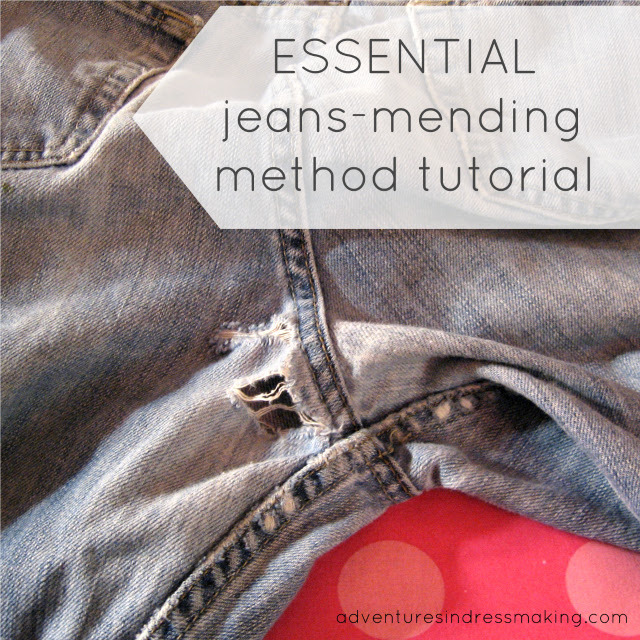 They also have remnants, trims, and patterns and books! 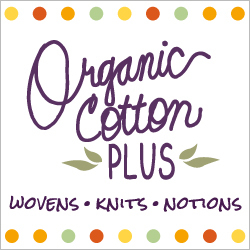 Shop around Fashionable Fabrics... and TWO of you will win a $25 gift card!!!! For each thing you do, be sure to leave a comment telling me about it! Giveaway ends Monday, May 23rd at midnight and I will announce the winner Tuesday. 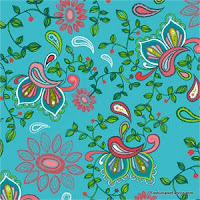 I would spend the money on the Soul Blossoms Disco Flower by Amy Butler or really any of the Amy Butler really! I love her stuff! I would love this giftcard! I'd buy Spellbound Chalky Silhouettes by Art Gallery, Tailor Made Packed Flowers by Cosmo Cricket,and the pattern Julia Twirl Skirt Sewing Pattern by Patty Young for Modkid. I actually love so many things on this website lol! Oh my, what wouldn't I buy? 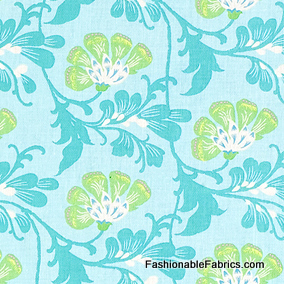 I am in love with Alexander Henry's fabric, so that stands out as a must have. I need some summery shirts. 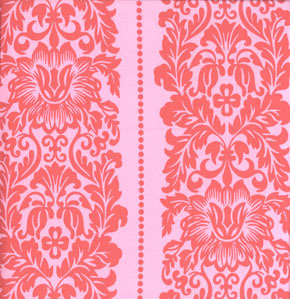 I think Arianna Posey Vine Brown by Jennifer Young or Party Dress Rambler by Mo Bedell would be perfect. 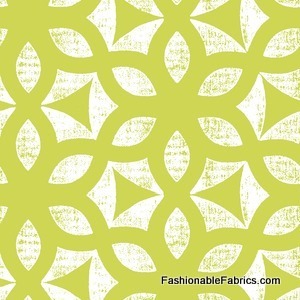 You and I have similar tastes...the fab green/white print you featured today would make a wonderful dress. That's my pick! So many cute prints! 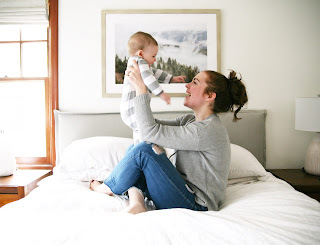 I'm looking for cottons to make some baby/kid clothes and room decor for all of my friends who've started having babies in the last couple of years. 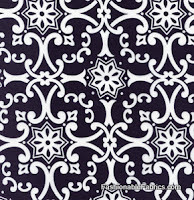 Oh, I would buy several yards of Aviary 2 Scrollwork in Granite by Joel Dewberry. 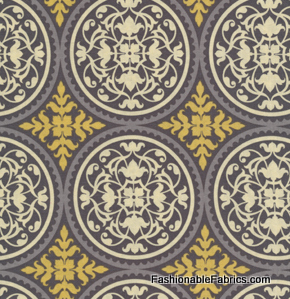 We're moving to a new apartment, and I've been eyeing fabrics for making curtains. 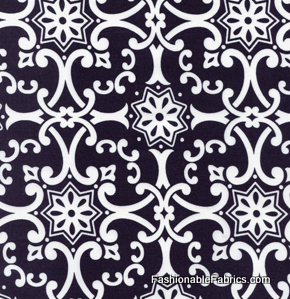 That pattern would sophisticate us up good! Thanks for the giveaway! Oh how exciting! 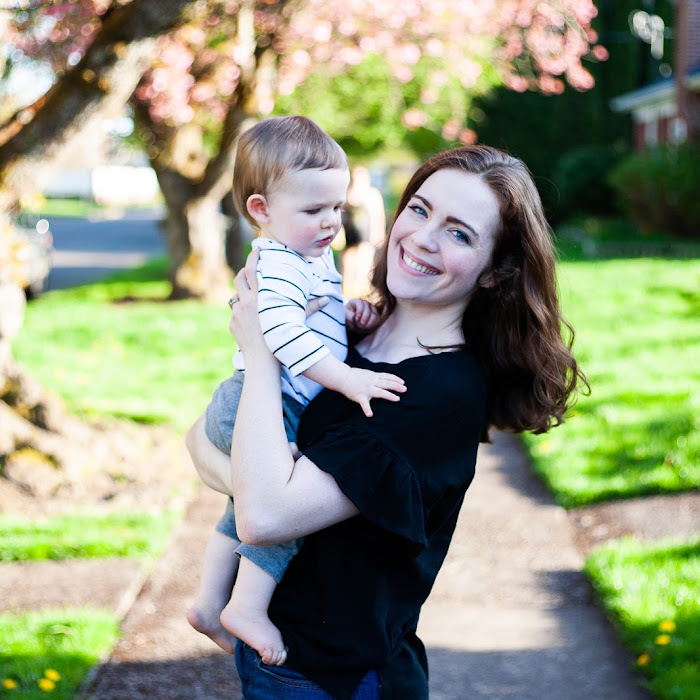 I'm prepping for our baby girl coming soon and I'm thinking that Maple Timber by Jessica Levitt would make a super cute dress for her! I would get some Alexander Henry lawn, or some Farmdale, or grab some of the Japanese prints. I love me some Soul Blossoms by Amy Butler!!! Any of the prints I can get my hands on! 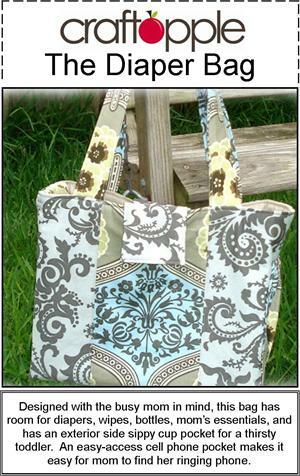 I love Domestic Diva prints, and would love to use them to make the Emmeline Reversible Apron! I'd get some Farmdale Crossing on Cream or something to make curtains from for my front room. thanks for the giveaway! Oops, I posted without saying I follow with Google Reader. 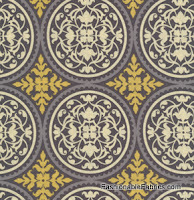 I'd get some of the Tiny Houses by Timeless Treasures fabric. Thanks for the chance to win! And sorry I had to delete my first comment. I would totally get the pachyderm parade to make shorts for my nephew. I love elephants!!! I would buy some Amy Butler fabric to make the camera straps that I make!! I love the Weekends Lily Rose grey. So begging for a retro dress with a great big skirt! I so love the prints and the colors! I am pretty much a sucker for all fabric. Everything they have is cute! If I HAD to narrow it down to several items, I would order the Vert Blooming Trellis Spellbound print by Art Gallery, the Aviary 2 Scrollwork in Granite print by Joel Dewberry, and the Amy Butler Lotus Pond in Ivory print. I shared this with my friends on facebook! My nickname as a kid was Ellie-phant so I'm really drawn to the the Urban Circus Pachyderm Parade. Not to mention the name is so cute! 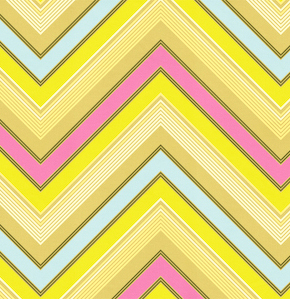 I'd buy Naturella Zesty Serpentine or Garden Pin dot Clementine or Bell Bottoms or Lolli Dots. 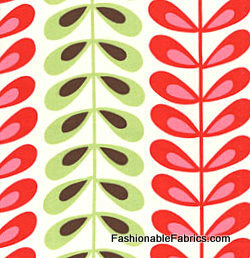 The Hoopla Garden Red by Moda Fabrics is so cute and retro! I think I'd buy some Rolling R Ranch cowboy fabric by Alexander Henry to make a pennant banner for my son's first birthday party. So many beautiful items to pick from. I think I would have to add some notions to my severely lacking collection. 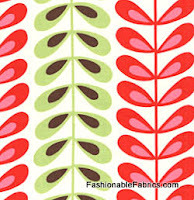 I love the Aviary 2 Sparrows fabric, and know just what I would do with it. I follow you via google reader. i'd love some fabric to make myself a new shirt! Wow..there are too many awesome things to choose from! I would definitely go with some sort of flower fabric! 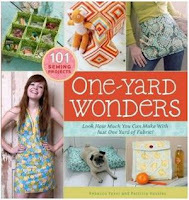 They have a lot of cute stuff but I would get either the one yard wonders book or the smirk I'm your hero from timeless treasures. I'm in love with Aviary 2 Sparrows in Cavern by Joel Dewberry, but they're all really great! 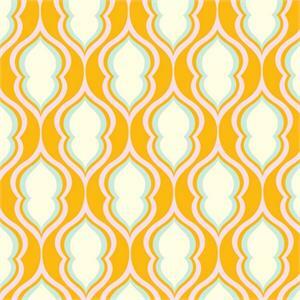 I would buy some lovely vintage wallpaper inspired fabric. 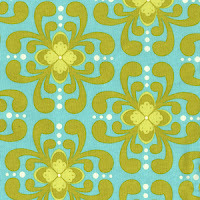 i would buy some of Bell Bottoms Kat Stripe in Red or Art Journal Polka Dot Flora on yellow by Bari J or Birds in Lime from Nest Collection by Valori Wells or Art Gallery Dreaming in French Fruity Praline there are so many more prints that i love as well but these were the few i narrowed it down to. i would buy the purse frame! The darling clementine daisies cotton lawn to make the 'resort' top that was featured on grosgrain a few weeks ago! Ohhhhh... so hard! 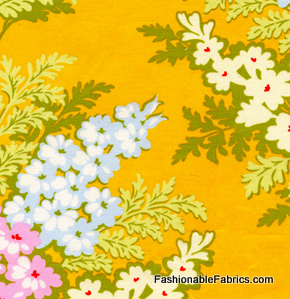 I think I'd get fabric - some to make a summer skirt or dress and remnents to make cute wee accessories. I would get Birds in Lime from Nest by Valori wells, currently on sale! I am making this huge blue and green quilt with a pieced back. Also, I probably wouldn't buy it normally but I might with a gift card- I would get One Yard Wonders. 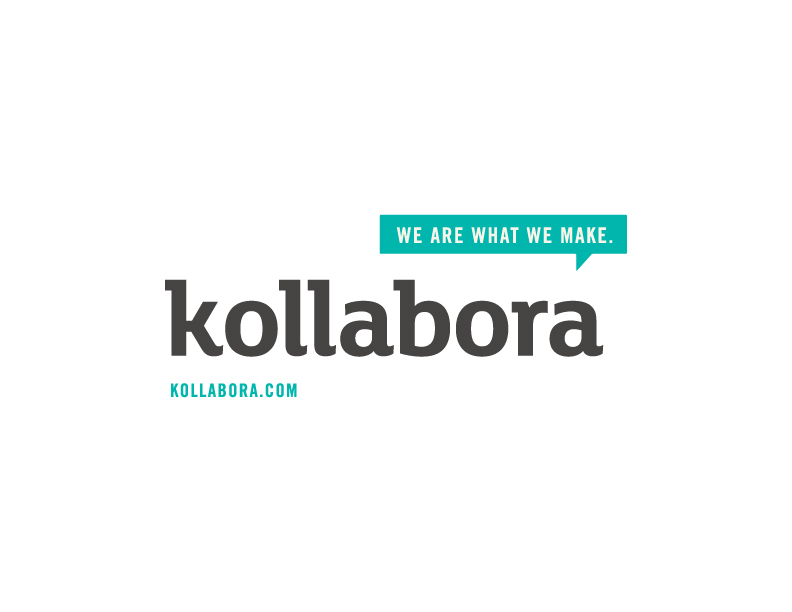 A lot of the projects (that I've seen on blogs) actually look interesting and useful! 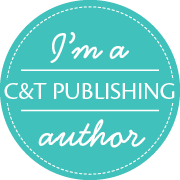 I love your blog and have it delivered daily! 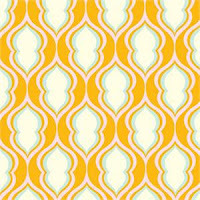 If I won a gift certificate I'd buy a few yards of the Smirk I'm You Hero fabric. I can just see something great for my 9yo, he'd love it! And I love their purse handles, the one w/the amber ball is my favorite! 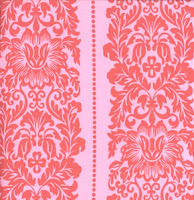 I really like the Pimatex Damask in black and white and the Treetop Fancy Chacha in Rose. Oh my gosh! 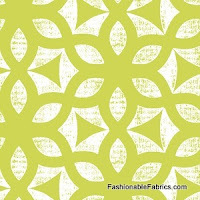 I'd totally get the green and white fabric to redo our barstool chairs. I've been looking all over for just that! Hope I win!!! oh, my, I do need some spice in my material stash. I really need to make some summer tops and some skirts! 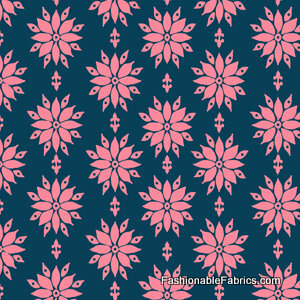 I love the selection of fabrics on Fashionable Fabrics and shipping is great! Thanks for the giveaway! I love Little Folks Voile Baby Bouquet by Anna Maria Horner!! So sweet!! 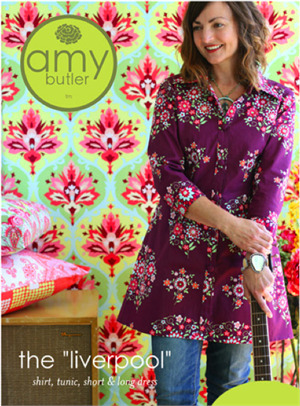 I would definitely get some Amy Butler fabrics! Amy Butler, Amy Butler, Amy Butler! Any of her fabric, really, and her patterns! Specifically, I'd love to get my hands on some Soul Blossom Buttercups, Soul Blossom Temple Door, or some Soul Blossom Temple Tuplips and her Liverpool pattern! 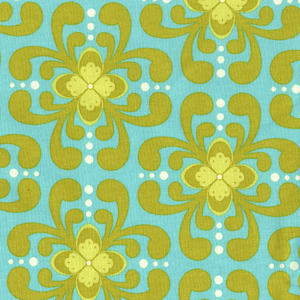 I love the Japaneses Yui Kokeshi Green by Alexander Henry Fabrics. It's cute!!! My mother bought me a sewing machine my senior year of high school. I tried it out once, got frustrated and returned it for a word processor within a week. 18 years later: I am 36, just bought a sewing machine, and am determined to teach myself to sew this summer. 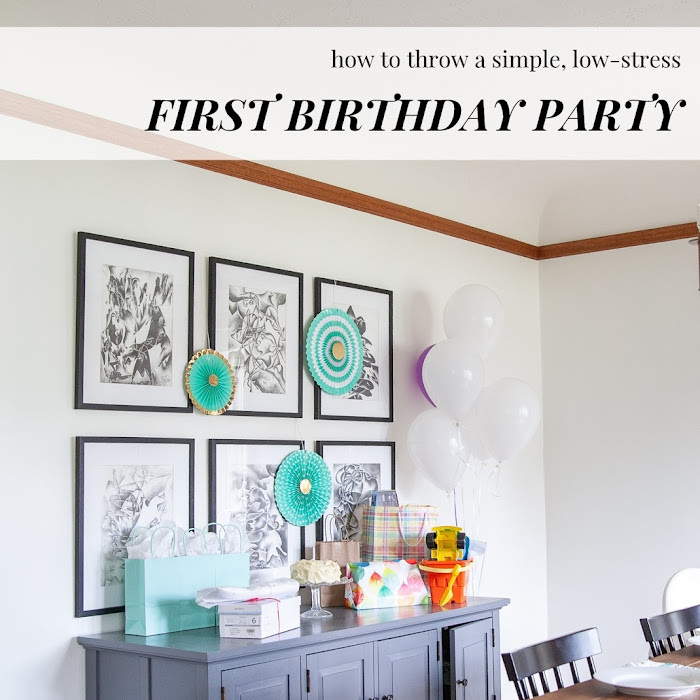 I found your blog, and the tutorials have taken away some of the anxiety...all of the projects look manageable for a newbie like me. I'd love to be able to use this offer to buy some fabric! I would buy the Amy Butler laminated fabrics, I see trenches as this years Christmas gifts for my nieces! I would love that gift card! 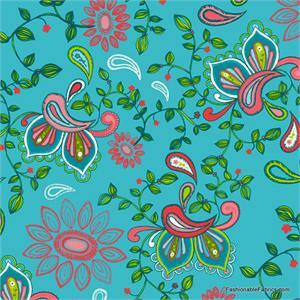 I think I would buy the Early Bird floral on natural or Perched Packed Calico in blue (to make a shirt, perhaps?) and Dino Dudes print for a baby romper for my brother, Harmon. Oooh, there was so much that I wanted! 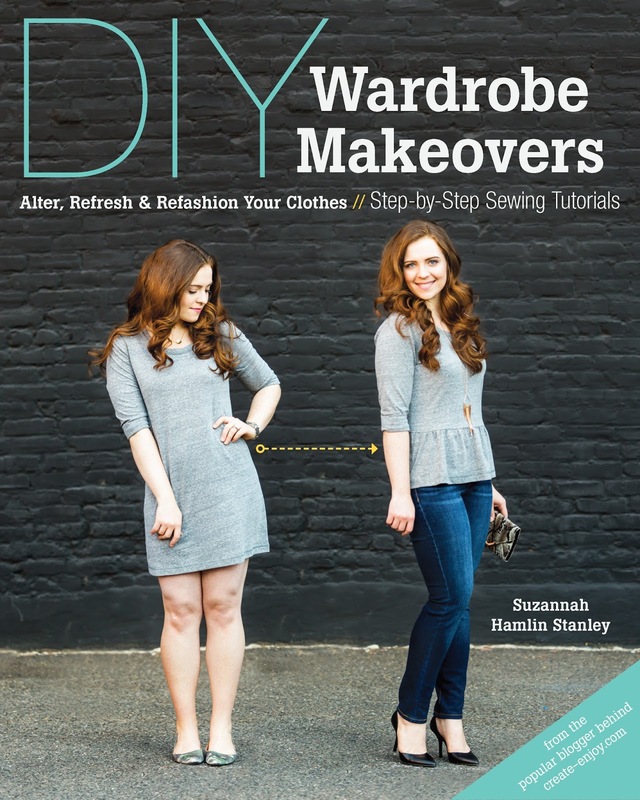 I really like the Liverpool sewing pattern and the Emmaline apron pattern.